Mexican authorities have arrested a high ranking member of the Zeta drug cartel in connection with the massacre of 49 people whose dismembered bodies were recently found dumped on the highway between Monterrey and Reynosa, near the entrance to San Juan. Reuters reports that Daniel Elizondo, the leader of the Zetas drug cartel known as “The Madman,” has been detained. 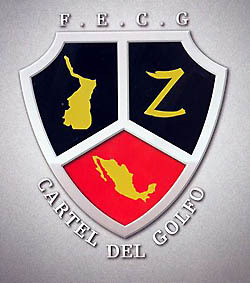 Elizondo headed the Zetas trafficking operations in Cadereyta, an industrial town near the spot where the bodies were dumped, an army spokesman told Reuters. Though Mexico’s drug war has raged intensely since President Felipe Calderon launched a national offensive against the cartels in 2006, this massacre is among the worst atrocities, Reuters reports. Since Calderon took office, around 55,000 have died in drug related violence in Mexico. Another 5,000 have disappeared. Officials are using DNA to try and ID the victims in the absence of their heads, hands, and feet. A week later, they have yet to identify any of them. It is possible they were migrant workers passing through the area, adding to the difficulty of tracing their roots. Posted: 5/21/12 at 2:06 PM under News Story.